This seahorse charm is filled with sand from St. Pete Beach Florida. A lovely & simple bangle made to withstand sun, surf and beach days galore! 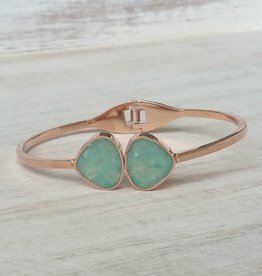 The Rose Gold Teardrop Bangle is handmade with your pale sea-green Amazonite layered to a glass-like, slightly domed finish. 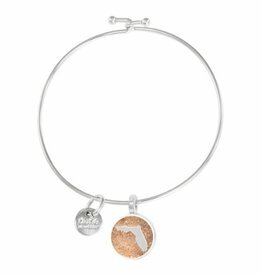 Take a piece of the sunshine state with you wherever you go with our Florida beach bangle. Filled with your favorite Pensacola Beach beach sand. Wear your memories all year long. Stack your favorite travels and experiences on your wrist. Whether it’s an amazing day on the golf course, swimming at the beach or a record breaking win at the ballpark, Dune will use sand from that moment and capture your memory forever. 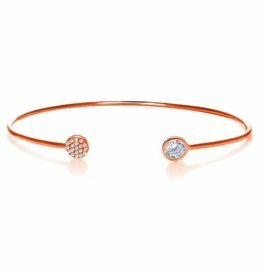 Classic Brilliant Tennis Bracelets are crafted using 5A quality cubic zirconia stones which possess the same sparkle and nearly the same hardness as a diamond. Bayview Cuff Bracelet is the perfect addition to your Dune jewelry collection. It's sterling silver and custom made with sand from Sanibel Island and layered to a slightly domed, gem-like finish. Bayview Cuff Bracelet is the perfect addition to your Dune jewelry collection. 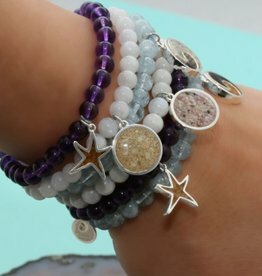 It's sterling silver and custom made with your choice of sand or elements layered to a slightly domed, gem-like finish. Filled with sand from Bermuda. Do you have a special memory to capture in sand? Specify in "Comments" on check out and we'll order for you. All custom orders confirmed prior to production. All sales final on custom orders. Classic Princess Tennis Bracelets are crafted using 5A quality cubic zirconia stones which possess the same sparkle and nearly the same hardness as a diamond. This Classic Brilliant Tennis Bracelets are crafted using 5A quality cubic zirconia stones which possess the same sparkle and nearly the same hardness as a diamond. 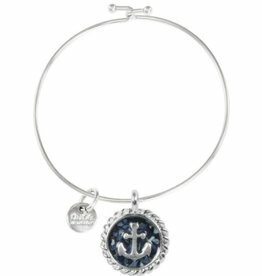 Keep your favorite coastal travels close at hand with this beautiful wave bracelet. This handcrafted piece is sterling silver, filled with your choice of sand and layered to a gem-like finish. It’s the perfect everyday reminder of your favorite travels. Bayview Cuff Bracelet is the perfect addition to your Dune jewelry collection. It's sterling silver and custom made with sand from New Smyrna Beach and layered to a slightly domed, gem-like finish.